I could see it now. The similarities…in the buildings, roads, newly built malls and highways…for that matter even in the faces around. It all started with lRCTC website, an attempt to successfully log into it after 6 futile efforts…then waiting for it to load the data and me trying to book the tatkal ticket on the same. I do not think there is a more cutthroat competition elsewhere as there is at 10 O’clock every morning on IRTCT website; as million of hopeful around the country are trying desperately to be the ones to grab those few seats in the train. And here it’s not about survival of the fittest but of the most patient ones. Those who can bear failure…get up and try all over again. Some are hoping to make it for an interview in some city, some planning to go for a vacation, while some for other reasons. For me, it all about seeing the new place, a new town and meet people out there. A clichéd one but a true fact it is that India can only be experienced in true sense when you travel by the train. I certainly believe so. 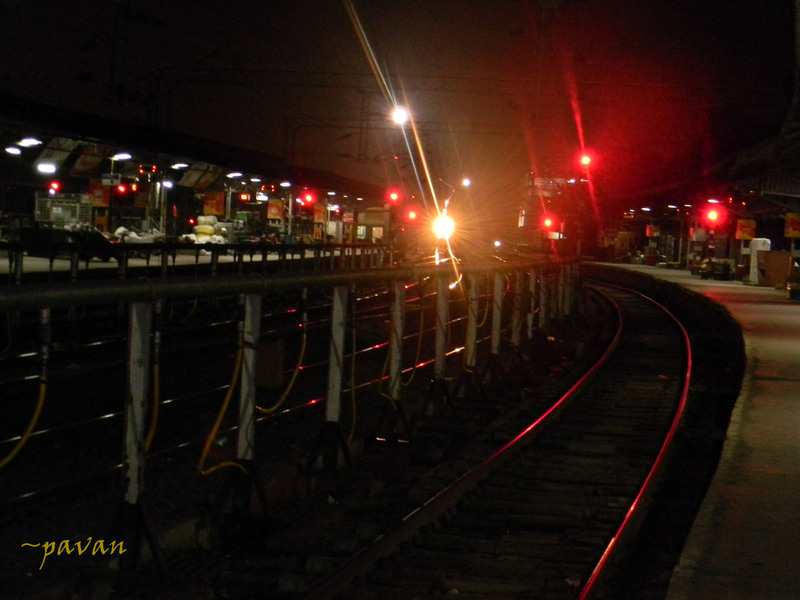 Be it anywhere…travelling by train has never let me down. So I check myself in the mirror, check the camera batteries once again, put on the backpack and set for my journey. It begins with the routine clamour at the railway station. Those unclear train announcements barging into your ears and the feeling of rush that you witness everywhere around. People running in all possible directions, carrying the luggage, kids and even managing to read newspaper on the go. I join the race wondering how many of them could be the ones I possibly will meet later on and not remember us brushing against each other on this platform. Salesmen all of a sudden amplify the pitch of their voices just before departure of the train and people are seen hastening to buy newspapers, water bottles and snacks. Train turns her head once and glances patiently at all of them. She is used to it by now. Only when it is time, she then gently whistles indicating she might have to leave them at platform if they don’t get inside in time. We then exchange formal hellos with people around in our compartments while thinking which ones could be the troublesome ones. And no, there are no pretty girls in there. I do not know how they reach other towns. Do they transport themselves or travel only travel by air. Perhaps IRCTC filters them out. But yeah, no good looking girls on the train. As I look outside the bars of the window, my city is seen waving a goodbye. She tells me she is the best city in country and I shall only regret if I fall for other one. I simply smile and fix my eyes on further sight. Slowly the concrete jungle of my town is being replaced by lush green farms and far-flung mountains behind. Sun is trying hard to aim heat arrows at my eyes. So I let him be and divert my attention inside the compartment. First thing you see is people who are already observing you from head to toe and probably wondering which city or town you are from. I awkwardly smile at them and they just look elsewhere. I’m used to it now. We Indians by nature are shy. Shy to introduce ourselves, to wish a random person you just met Hi and shy to even look into each other’s eyes. But time takes a good care of it, as one or two then start the conversation and suddenly you have a good company to travel together. They tell you the reason why they had come to your town and you end up letting them know why you are visiting theirs. Few offer you food and we then reject the offer politely because that’s what we all have been taught. By 9pm people are done having their dinners and insomniacs like me have to plug in earphones as the lights go off. Eyelids drew close while I’m thinking of the next day morning and sporadically keeping a check on my wallet and bag. Morning is as good as it gets with a cup of tea or coffee to begin with. Next one hour is the longest as everyone sits quietly waiting impatiently for the station to arrive. Finally it does and I’m there…the city or town I was longing to visit and had heard so much about. I breathe in the morning air and I’m melted once again into the same clamour at the platform. I can see now. The similarities…in how cab and auto drivers are almost trying to kidnap you and charge you a handsome fee for where you want to go…similarities in the buildings, roads, newly built malls and highways in that town to yours…for that matter even the faces around. Areas around the stations are usually the worst part of any town. So I try not to make a judgement for a while. Slowly differences start to show themselves up…in the mode of transport. Size of the roads, density of crowd in the city. I feel if you are thirsty for it, each city has so much to offer…Metros of Delhi, cultural face of Hyderabad, insomniac traffic of Mumbai, wide roads of Bangalore and evergreen valleys of Dharmshala and so much more. I try and absorb more of those places as I sip intermittently the Irani chaai near Charminar, feel the charm of Mumbai during badra-worli sea link drive and read painted faces of delhi at Hauj Khas. Shopping malls are last on the list of places I want to check out, because they hardly offer you anything new from the ones back home. But this would only be tip of the iceberg as I look forward to many more trips ahead…to learn from people on the way and appreciate what each of those places are waiting to offer. I can hear her whistling now….I see them rushing inside and a fleet of waving goodbyes. I shall wave one to you too. But you shall see me soon when I visit your town. No town is that far now.